A Home for You ? As many as 35,000 thousand new houses that have never been lived in lie idle in Ireland all since the diabolical bank crash and the imposition of austerity. The photo above is just one of the many, it was completed during the summer of 2009 and stands on a large site and would be ideal for a keen gardener or even a smallholder. I think it was built as an investment by the builders, if so it has proved to be a rather costly one, for oil the heating is put on every winter just to keep the place from mouldering. It is a family sized home with at least four bedrooms and with all of the modern requisites as per a shower on the ground floor. I haven’t been inside or intruded on it’s grounds. Merely gleaned some information by looking in over the hedges which border the property, because at the end of the day I am as nosey as the rest of humanity. 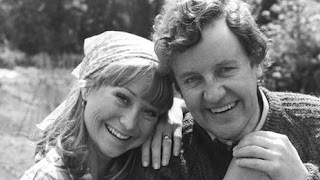 I was extremely sorry to read about the passing of Richard Briers. Here was a man whose boyish looks and twinkling eyes, held us, his viewers enthralled and entertained throughout his long career. My first encounter with this actor was through the BBC series ‘The Good Life’ in which he played the part of Tom Good, the husband of Barbara (Felicity Kendall). rat race by setting up a small holding, complete with a hens and a pig in their back garden. I am sure that hundreds of viewers were inspired through this wonderful comedy to virtually emulate them, in a real life situation of going it alone, by growing their own vegetables, having hens and living it green. In memory of Richard Briers 14 January 1934 – 17 February 2013. This particular piece of news is one of the most shameful things I have ever had to bring to your attention, for I consider it to be a national disgrace. The Government will seek a "clear strategy and a clear plan" as to how best to deal with the findings of the report into the Magdalene laundries, Taoiseach Enda Kenny has said. The Government came under renewed criticism today following the refusal of Mr Kenny to issue a full apology to the women who spent time in the laundries, despite the fact that more than a quarter were sent there by the State. The 'Report of the Inter-Departmental Committee to establish the facts of State involvement with the Magdalen Laundries' was published yesterday by an interdepartmental committee chaired by Martin McAleese found the women were from many backgrounds. Some were referred by courts, others released on licence from industrial schools before they reached 16 years of age, while some were young women over 16 years of age who had been orphaned or were in abusive or neglectful homes. Responding to Fianna Fáil leader Micheál Martin during Leaders' Questions in the Dáil, Mr Kenny said he was "genuinely concerned about bringing reconciliation and closure to the women involved". 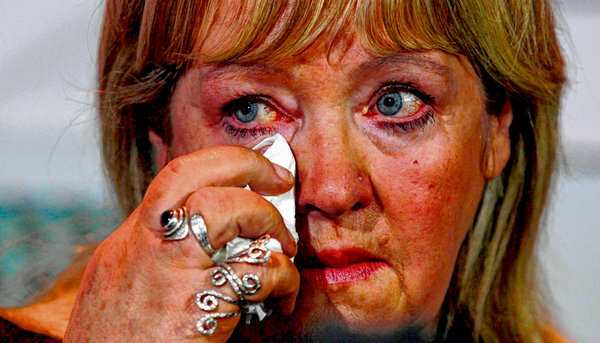 The report exposed the truth and "in that regard the first and major issue of concern to the girls and women in the Magdalene laundries was the removal of the stigma". He didn’t want to get into "adversarial diplomacy" on an issue as sensitive and evocative of bad memories for people. The Taoiseach said the Government itself would reflect on the issue and he would "like the space to work with government by putting a process in place so that we can help these women reach closure". Mr Kenny told the Fianna Fáil leader that his government "refused to actually investigate it then. This Government is dealing with it in the context of the McAleese report which sets out the truth here." Mr Martin, who chaired the committee dealing with industrial school abuse, told the Dáil he was "sorry we didn’t deal with the Magdalene laundries at the time". He said the committee led to a State apology to survivors of industrial schools. And he told Mr Kenny that the 1,400 page report published yesterday on the Magdalene laundries "doesn’t take any stigma away". "The only effective way for the stigma to be removed by the State is to apologise with no ifs and no buts," he said. Responding to questions from Sinn Féin TD Mary Lou McDonald, Mr Kenny said some of the information contained in the report had not previously been available. It was the "duty and responsibility of the Government to examine it and reflect on it and decide what is the best thing to do from here", he said. “I am sorry that so many women worked and were resident in Magdalene laundries in a very harsh and authoritarian environment," Mr Kenny said in response to criticism from Sinn Féin TD Mary Lou McDonald. Ms McDonald told the Taoiseach that yesterday had been the time for the Government to apologise and to tell the women: "You were wronged." Mr Kenny said he did believe the stories of the women and that the report was the truth about what had happened to them and about their lives and their experiences. He believed the Government had a responsibility to act to "bring closure" to the women and he acknowledged that many of them were elderly and not in robust health. The Taoiseach said it was a case of having "a clear strategy and a clear plan as to how best to deal with it and that is what the Government will do". There would be a further opportunity to discuss the report in two weeks, Mr Kenny added. Minister for Justice Alan Shatter said today the report was a "watershed" that had cast light on areas that had been in the shadows. However, he declined to comment when asked on RTÉ’s Morning Ireland whether it was wrong for the State to be involved with the laundries. He also criticised opposition TDs who called for an apology yesterday before reading the report in full. Minister for Public Expenditure and Reform Brendan Howlin said he thought the Government would be "compassionate" in its response. The facts had been "long and late" coming but the Government had set up the inquiry within a few months of coming into office. He said Dr McAleese had been the right person to conduct the inquiry. Labour Party TD Gerald Nash tweeted that a "full, sincere" apology was needed. His Labour colleague Aodhán Ó Ríordáin tweeted that it was “clear that the state owes the Magdalene women an apology”. "Quick progress on this issue is important," he said. An estimated 11,500 women passed through ten institutions between 1922 and 1996.